– to have a destination wedding! Of course, what is more romantic than an intimate wedding on the Mauritius beach while wearing a white lace dress with flowers in your hair and listening to the sound of the ocean? Okay, maybe an elegant ceremony on the rooftop of a white charming hotel in Santorini enjoying the sunset? Not a fan of hot summer weddings, ha? – say your vows in the ice chapel in Norway and celebrate during the white nights in Saint Petersburg. Too formal? 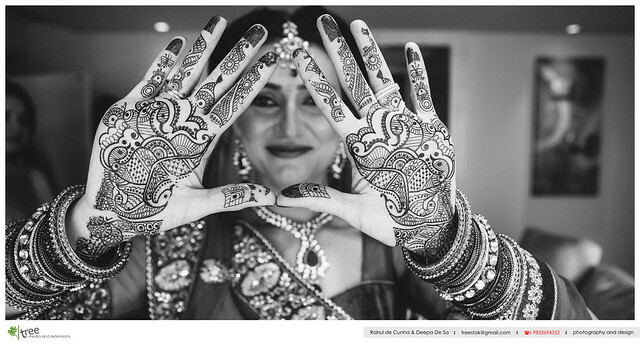 – have a mountain wedding in India or an underwater one in Egypt! Yes, all ideas sound great, but if you live in a completely different part of the world,the organization is more likely to be…scary, right? No family drama! Usually, each set of parents have their own ideas and it is common that the couple wants to fulfill their wishes… so here comes the bad energy and who needs that!? Believe it or not – it’s often both easier and cheaper! Many resorts have already a wedding package prepared or are experienced in wedding planning. And you can avoid everything that you don’t like on the regular wedding ceremonies: choose a simple dinner over a big party or a white bikini over a big heavy dress, save on decoration…you make the rules! It’s a great excuse to limit the guest list and enjoy quality time with your loved ones – ah yes, your annoying neighbor won’t get offended if she doesn’t get an invitation. You can start the honeymoon early! And not only that, if you choose to have guests, they will save on a vacation as well. They’re simply perfect for second marriages or wedding vows renewal! So, you feel a bit better now? Ready to continue pursuing your dreams? The main reason why people choose not to have their dream destination wedding is that the planning sounds too complicated. There are so many things to consider, to know, to prepare for…and of course, it can be much easier when everything is just a few kilometers driving away. That’s why we are trying to make kilometers disappear, at least when it comes to planning a wedding. By using Seletra you can explore around, look at providers, their pictorial and informative profiles…and you will see: the more you plan the more ideas and options pop out. It can be so interesting and so much fun, easy and fast and…from your living room (or vacation, or office- your choice!)! You don’t need to stress out when meeting a dozens of different wedding planners, chefs, decorators, music bands… Why spend time going to 10 different restaurants and hotels? Why spend money on stuff that you actually don’t want but are considered having on a wedding? Why having the traditional wedding customs that you never liked? Yes, there is no reason for this because we gathered it all in one place! Compare an exotic Thai wedding to a classy French one. Choose between a cozy Maldivian bungalow or a Casino hotel in Las Vegas. What goes better with your dress: a gondola in Venezia or a carriage in Vienna? Just go to Seletra and take a look! Give yourself more options. Enjoy every minute of your wedding planning. Don’t be scared, we choose just the professionals. We made them just a click away from you. Together we can make your destination dream come true!